VANCOUVER -- Two men and a teenager labelled "suspicious" because they were taking photos of a Vancouver mall feared being attacked on the street after local media published their images, says their doctor. Dr. Weidong Yu of the Wellspring Clinic for Holistic Medicine says the trio are visiting from Manchester, England, so that two of them can be treated at his clinic for a visual disability. The teenager and young adult suffer from a disorder that restricts their field of vision, making their sight blurry, and they take lots of photos in order to zoom in later and see everything more clearly, he said. "You look at a shop, you look at a mountain, you see it. They don't. So they take photos and then they enlarge the photo, and then they can see it." 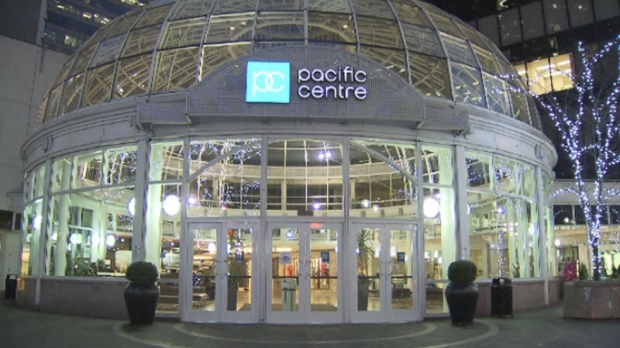 Vancity Buzz, a news and culture website, posted an article Thursday night saying that police were looking to speak with the men after they were spotted taking photos of entrances and exits at Pacific Centre mall. The article included surveillance photos of the trio and described them as "Middle Eastern," as did the internal police memo that was obtained by the publication. The trio were immediately alarmed and feared going outside, Yu said. "They were concerned that if they walk out on the street, some other pedestrians will ... knock them down and hurt them because they are viewed as terrorists," he said. But he said they trusted Vancouver police and called them Friday morning from his clinic, where officers attended and conducted interviews in a "trained and professional" manner. Vancouver Police Chief Adam Palmer said the internal memo, which labelled the men "suspicious" and included the surveillance photos, was never intended to be public. Palmer said the description of the men as "Middle Eastern" was not racial profiling, and that details on race are always included in these kind of memos between police forces. Police issued a statement on Friday afternoon that said officers had located and spoken with the men and were confident their actions were "completely innocent." Vancity Buzz editor in chief Farhan Mohamed said shortly before police cleared the men that the outlet published the story because it was in the public interest. He later said in a statement that he welcomed the news that the men had been located and their actions deemed innocent. Despite the incident, Yu said the trio's opinion of Canada had not changed and they would come back again for treatment. "They were treated very well by the police," he said. "I'm glad media have declared them innocent."